Since 1966, the National Highway Traffic Safety Administration – a part of the U.S. Department of Transportation – has been tasked with providing the recall information for vehicles and automotive components. If there is any safety issue or failure to meet federal motor vehicle safety standards, the NHTSA is a resource that consumers can trust. Most of the recalls issued by the agency have to do with motor vehicles and related equipment, child safety seats and tires, according to Recalls.gov. Screening: There is an initial review of consumer complaints about a particular issue. Although it likely takes multiple complaints about the same defect to make it to the next step, there is no set number for reaching the next step in the process. Analysis: If there are any petitions for investigations, they will be examined more closely at this time. Investigation: Technical professionals will launch investigations into issues they believe are problematic in the automotive sector. If the problem warrants it, a safety call will be issued right away. Management: The NHTSA will continue to monitor the safety issue attentively to ensure no further action is required. 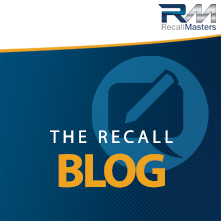 Regardless of whatever action is taken as a result of the recall, professionals will measure its effectiveness and adjust plans if necessary. It is worth noting that if your complaint is a result of the Takata airbags, you should write “Takata Recall” at the beginning of your complaint description (step three of five in the process). Whatever the problem is with your vehicle, however, don’t hesitate to speak out about it.